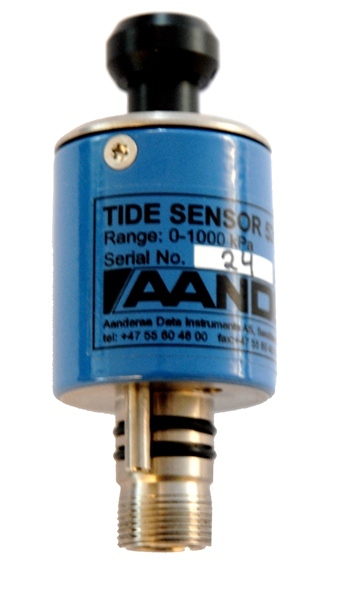 Tide Sensors 5217/5217R are compact fully integrated sensors for measuring the tide conditions. The sensor is designed to be mounted on the Aanderaa multiparameter SeaGuard® Platform or via cable connected to SmartGuard datalogger. The standard version has AiCaP CANbus and RS-232 output. R-version has RS-422 output for longer cable length. The sensor is also available in a vented version. This means that the sensor is automatically compensated for air pressure. This is done by use of a compensating unit placed in air and an air-pipe in the cable between the sensor and compensating unit. The sensor application areas are in fixed installations, either deployed in a seabed installation in shallow waters, or mounted onto a fixed structure in the upper water column. Typical applications for the sensor are measurements of tide in ports and harbors, marine operations, weather forecast, and climate studies.